At Busy Bees Preston Ashton House we have raised a whopping £89.43 for The Elephant Tea Party Charity that supports families with child bereavement. Well done to the Buttercups classroom who solely raised £38.94 in there class by having several challenges for the staff and parents to raise money including " Name the Elephant" and " Guess the weight of the Elephant" . The Poppies classroom brought in some fun Elephant themed board games that they shared with the older children. 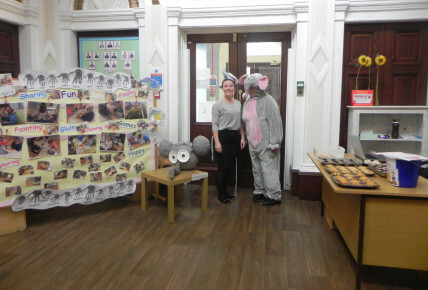 Thankyou to our fun and eager parents that took part in wearing grey when dropping their children off to be involved in the Elephant theme. 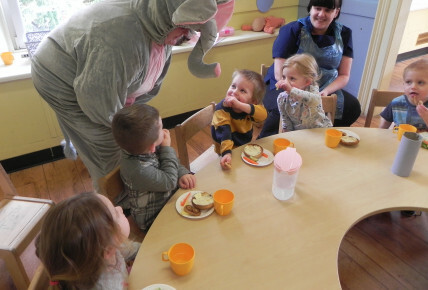 The children really enjoyed the spontaneous surprise visit from The Elephant.